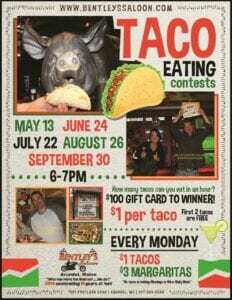 MONTHLY TACO EATING CONTEST! WIN $100 GIFT CARD! HOW MANY CAN YOU EAT IN ONE HOUR? OUR RECORD HOLDER KYLE ATE 38 TACOS! !